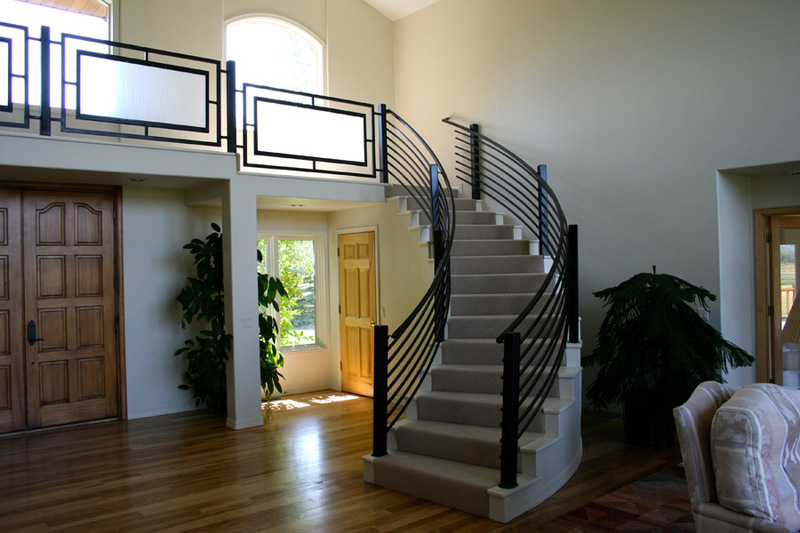 As Shown: Natural iron finish and silver mica. 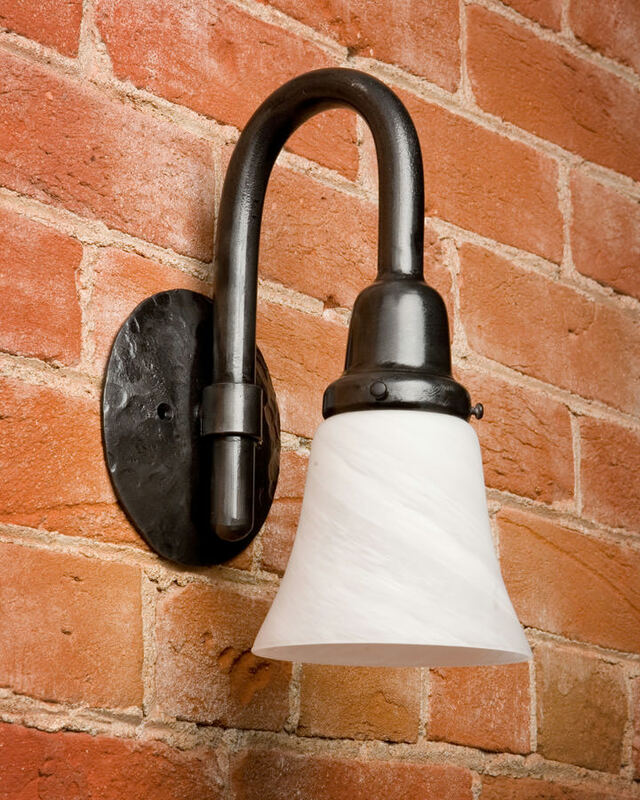 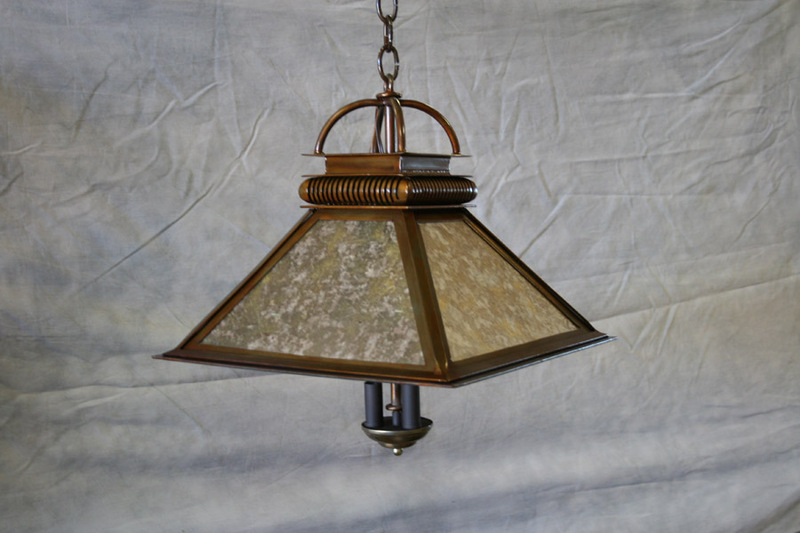 As Shown: Natural iron black finish and white glass shade. 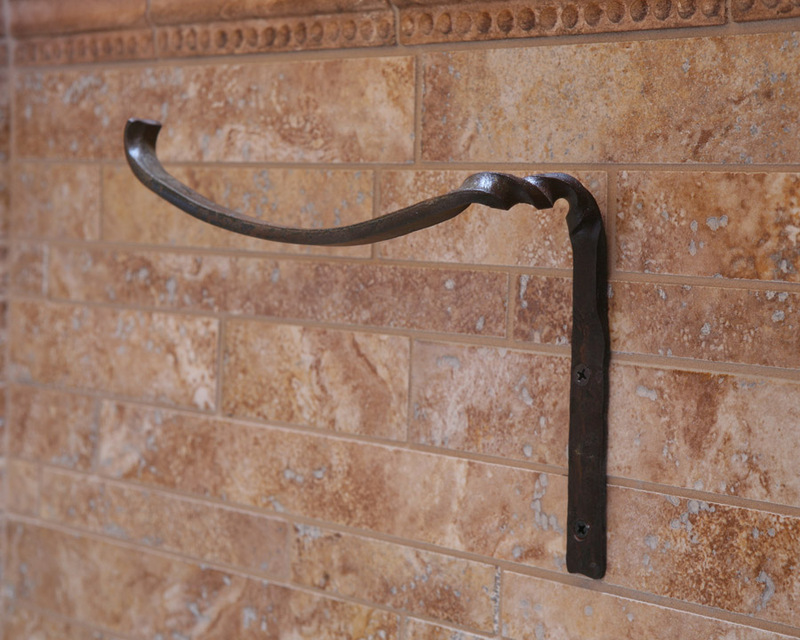 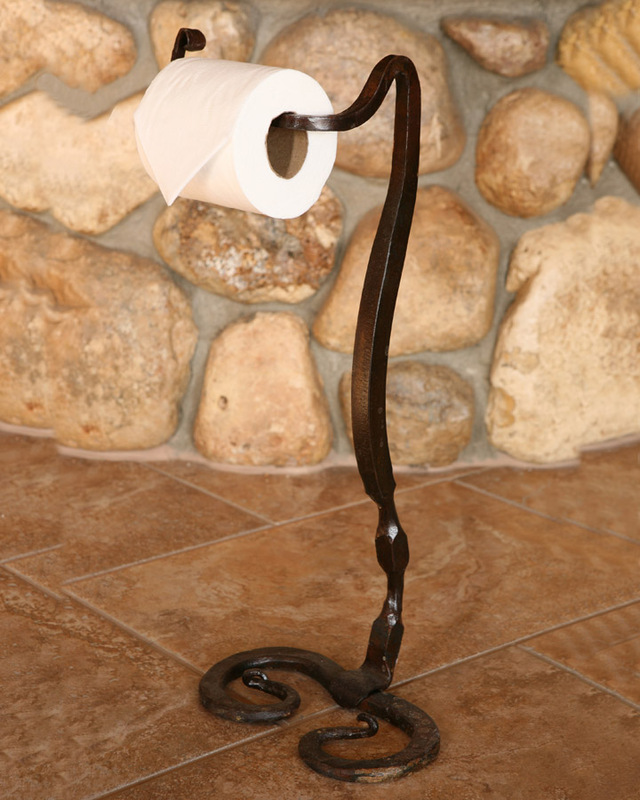 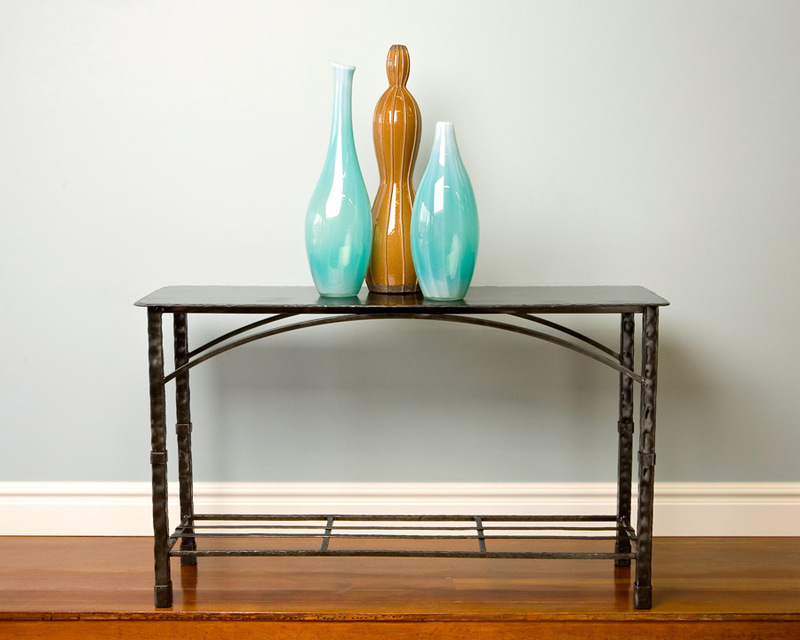 As Shown: Two tone – Rust patina and natural iron finish with type A medium base sockets. 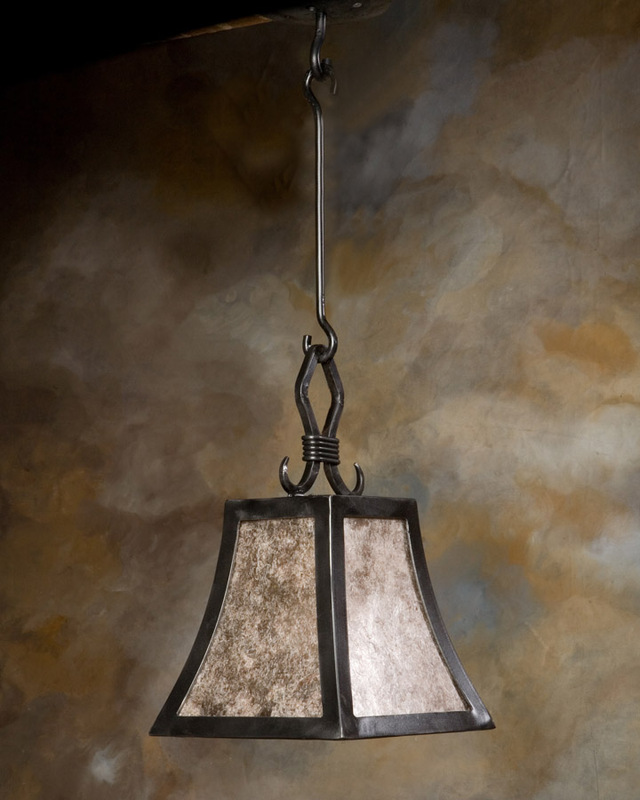 As Shown: Natural iron finish and mesh. 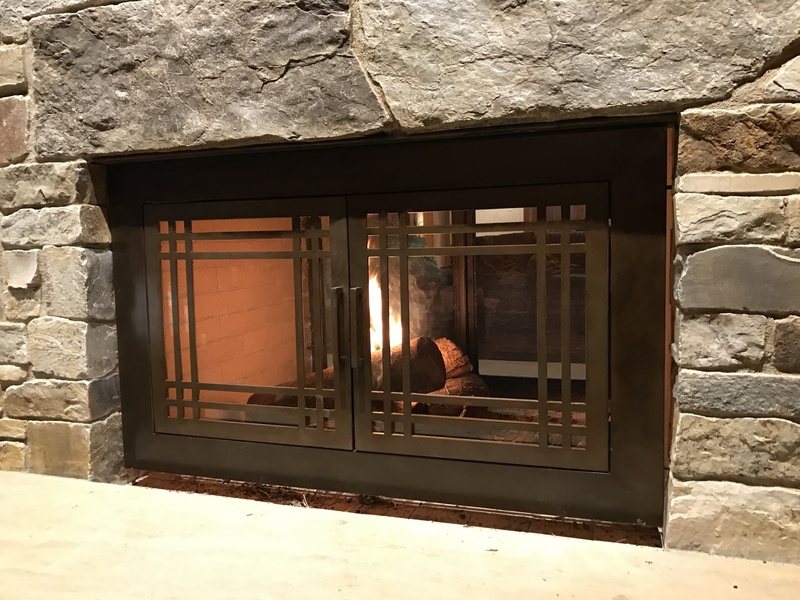 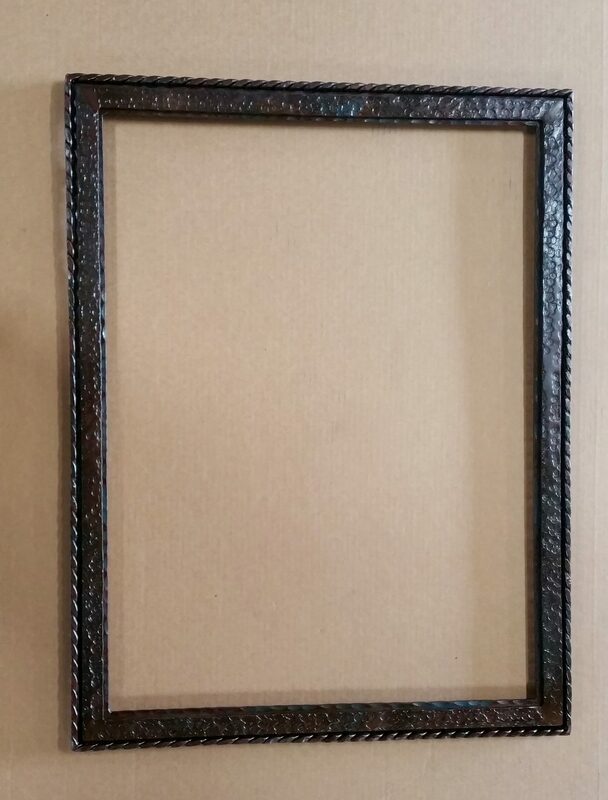 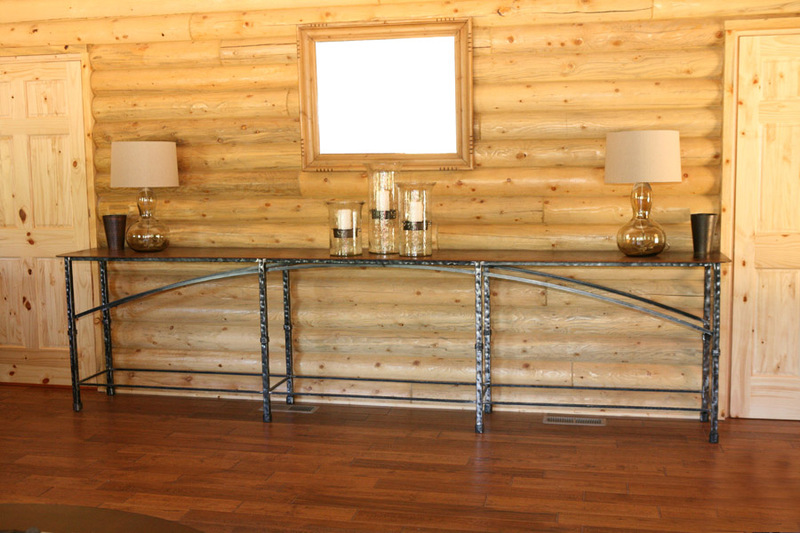 As Shown: Natural iron black finish with glass panels. 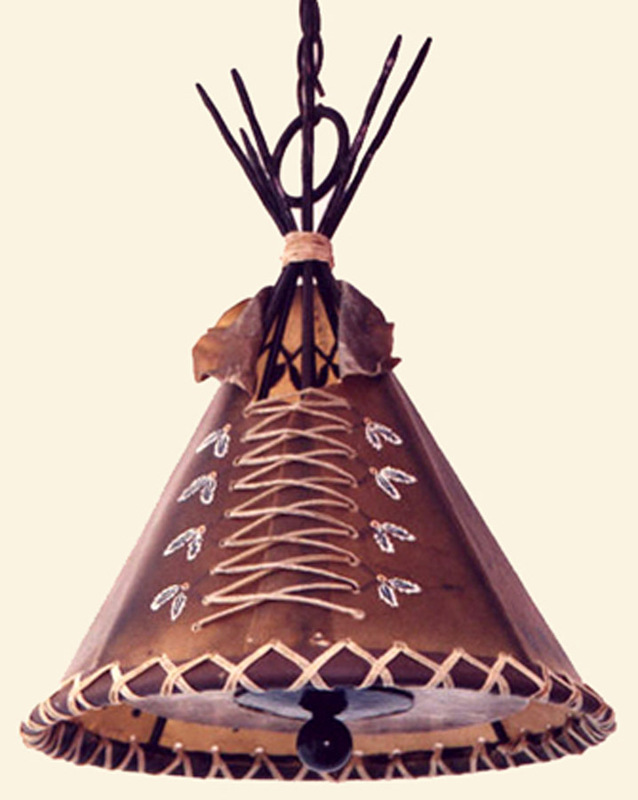 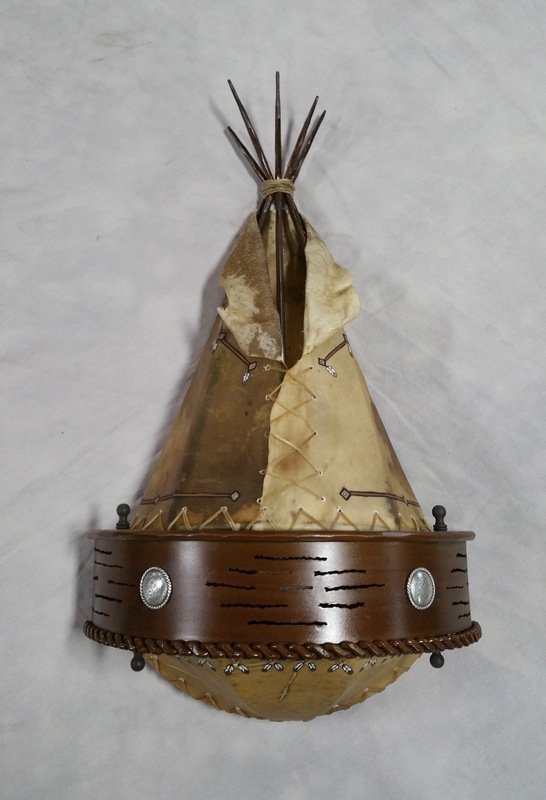 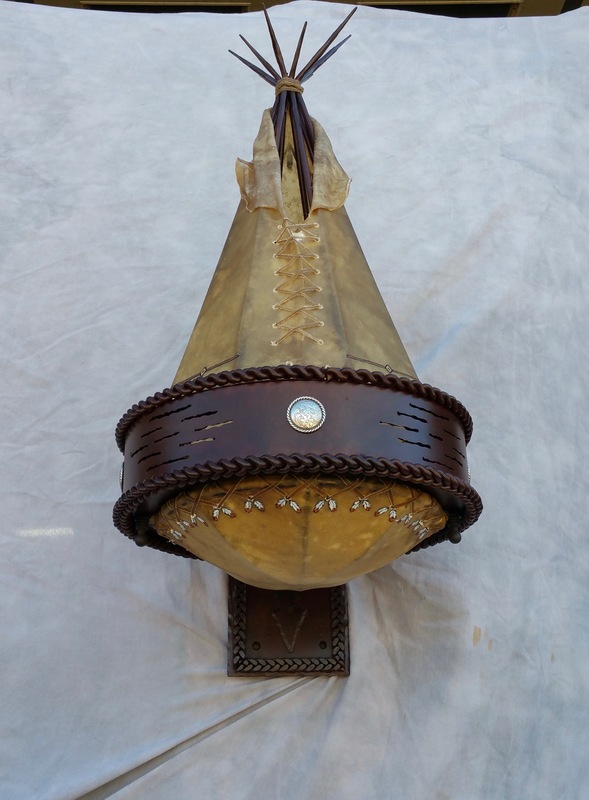 As Shown: Rust patina finish and silver mica diffuser, painted rawhide tipi. 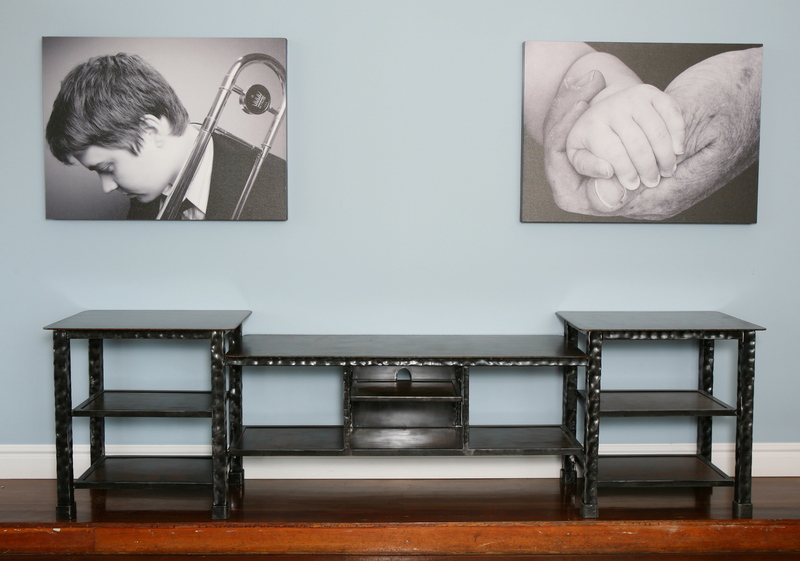 Available with or without paintings.